Hillcrest Middle is a sixth through eighth grade school with approximately 963 students. Hillcrest middle school faculty and staff are committed to providing positive learning environment that fosters critical thinking skills and promotes positive character and cooperation. There’s an active partnership of students, staffs, parents, and community. Hillcrest middle school has been recognized as one of the top performing school as well as a PTA National Parent Involvement School of Excellence. It is also a recipient of Palmetto Silver awards, SCASA School of Promise, and other recognitions. In addition to the school’s focus on academic excellence, Hillcrest Middle school offers an extensive range of athletic options, extracurricular clubs, and opportunities for the students to a make a difference in the community. Some of Hillcrest middle school’s outstanding programs include: award-winning Fine Arts programs, Junior Beta Club, Community service programs, middle school sports, career educational programs, and many more. Browse our extensive Hillcrest Middle School zoned real estate listings and find great deals and properties in Simpsonville, Greenville, Mauldin, and Fountain Inn including condos, townhomes, single-family homes, and more. By narrowing down your search, you’ll have more time to learn about those homes that fit your price range. When you find a home near Hillcrest Middle School that really piques your interest, just send us an email or call our buyer hotline at 864-881-1258. 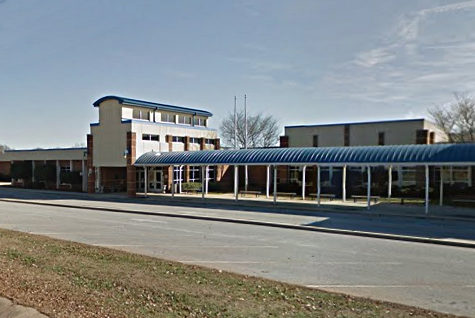 Every community or subdivision assigned to Hillcrest Middle School in Simpsonville, SC is unique in itself for various reasons. These subdivisions vary in price ranges, home features, and community amenities. Below you will find our list of featured neighborhoods and subdivisions in Simpsonville, Greenville, Mauldin, and Fountain Inn to help you get started in finding a home near Hillcrest Middle School. If you have any questions about any of these neighborhoods don’t hesitate to contact us.